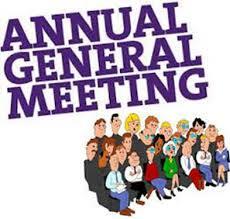 This years AGM will be held tomorrow evening 5th December in Shrule Town Hall at 8pm . All members are urged to attend . The agenda is as follows . Loss of €5,300 in 2017 therefore insufficient funds to run 2018 rally without sponsorship. Note 2012 was a bad year – club recovered — otherwise Club in financially healthy condition . SPONSORSHIP REQUIRED – are people willing to seek same – ??? Suggested revenue sources were . . .
Shareing with another club suggested ??? Peadar and David suggest runs to a shows if they coincide. The outgoing Chairman – Neil Fraser , Secretary – Chris Green and Treasurer – Bartley Horan were thanked for their work in the past year . Chris handed over Club records & documentation archive to Martin Ryan . David Burke offered to donate an iPhone to the Club as official club phone ! Hall is booked for Autojumble on 3rd Sunday in February 2018. Pa , David Burke and Neil Fraser appointed. Previous Article Previous Article: Can’t touch this !